Good news for Australia’s Madonna fans, just through to the desk, is that the local release of the pop queen’s new album ‘M.D.N.A.’ has moved forward. Initially set to coincide with its global premiere on Monday March 26, Universal Music has today confirmed that the new LP, which features the singles ‘Give Me All Your Luvin’ and ‘Girl Gone Wild’ will hit the stores in Australia on Friday March 23, in line with the week’s other releases. 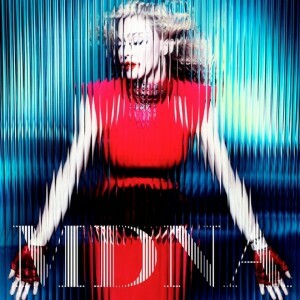 As mentioned earlier in the week, new single ‘Girl Gone Wild’ is due to hit Aussie digital retail on Monday.